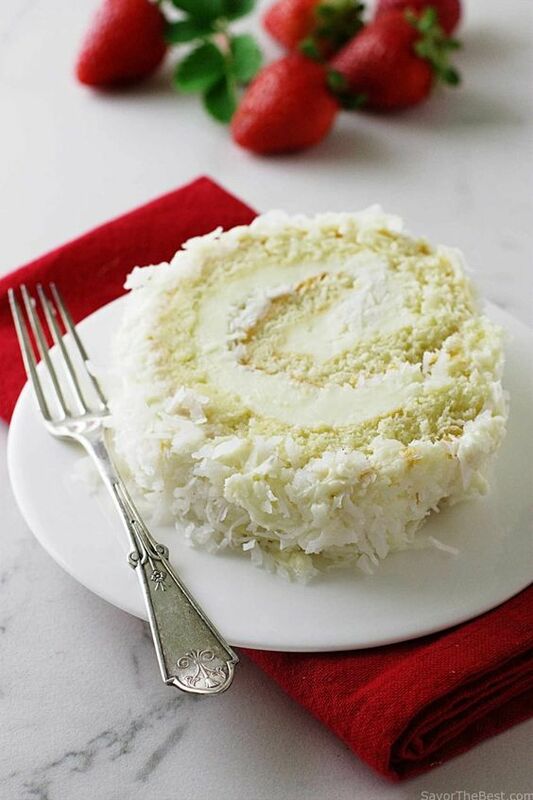 A recipe for a coconut cake roll that is light and not too sweet. It has a filling and frosting of a creamy mixture and covered with shredded coconut. This is an easy recipe that doesn't crack when rolling. A dessert that will put smiles on the faces of your guests!